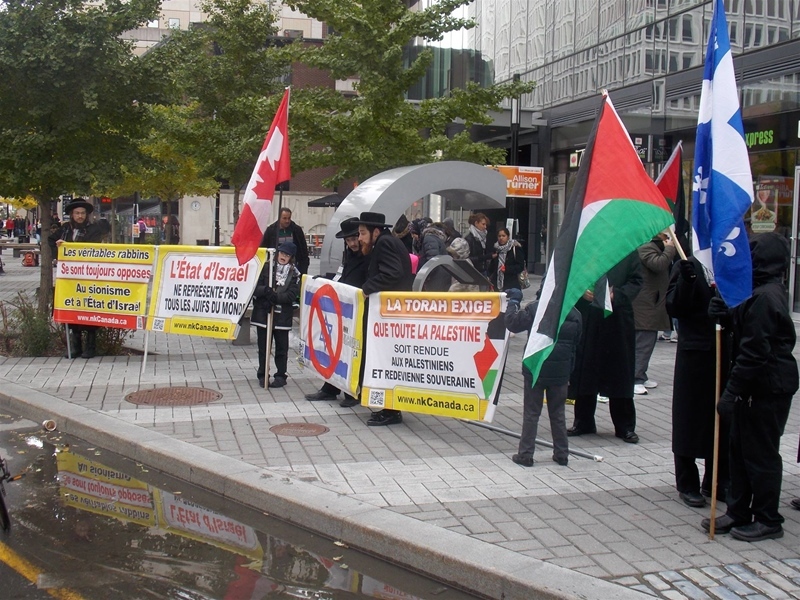 Pro-Palestinian Rally, 17 Oct 2015 Montreal. 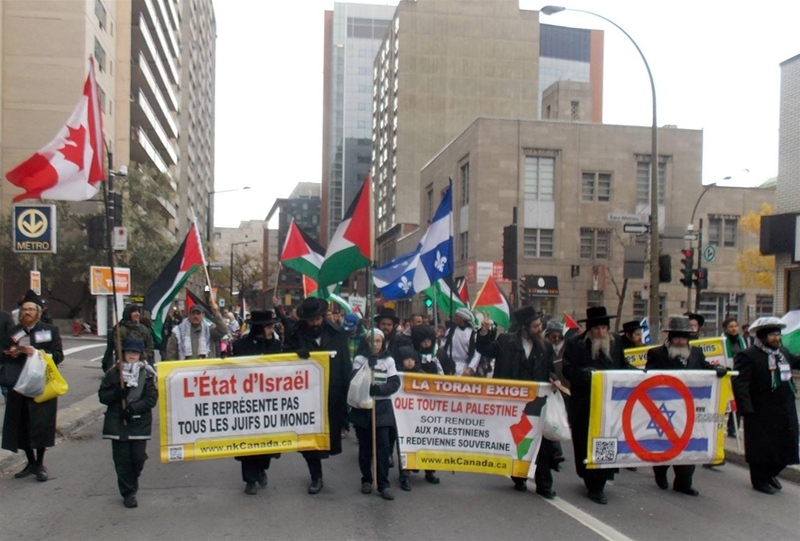 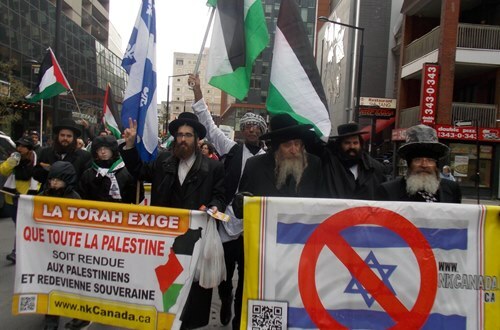 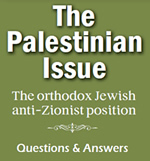 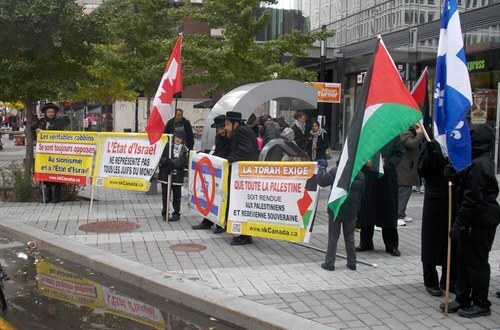 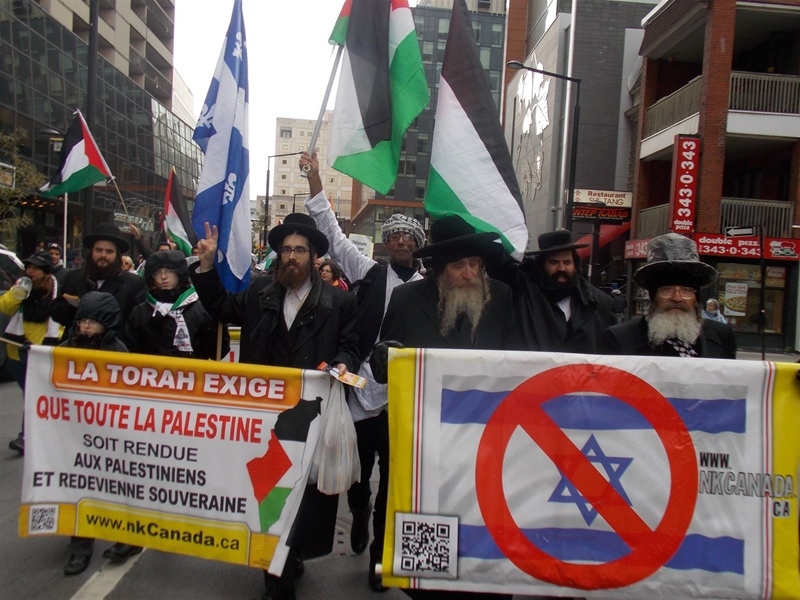 On October 17, 2015 a large group of anti-Zionist Jews demonstrated in Montreal to show their support of Palestine. A similar demonstration took place in Washington, DC. 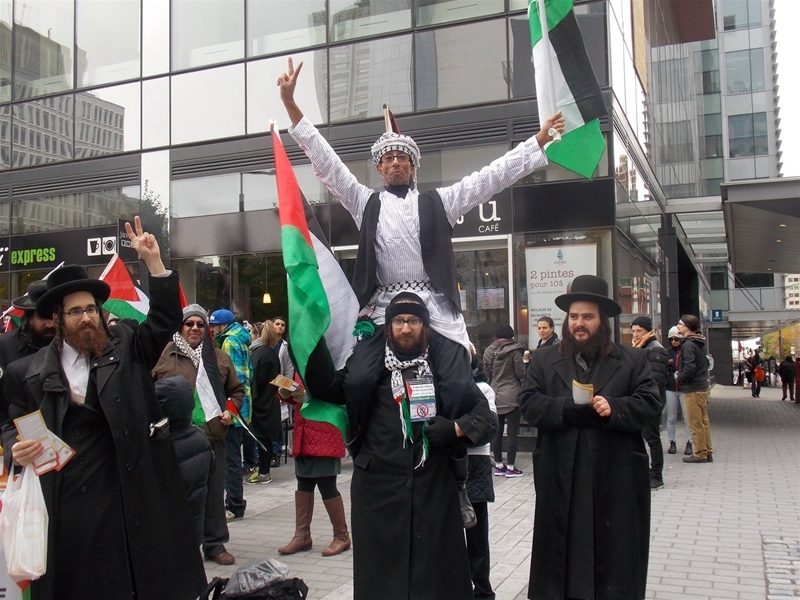 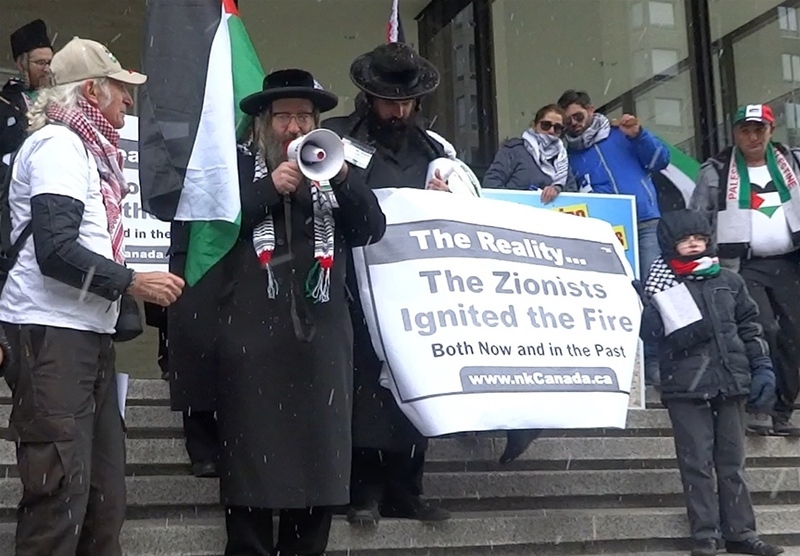 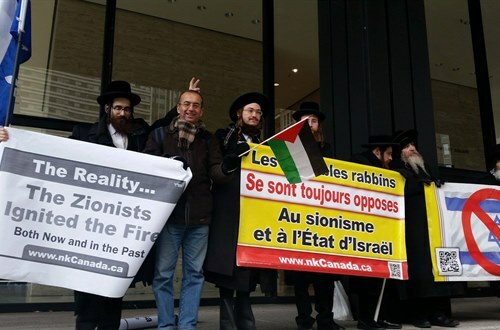 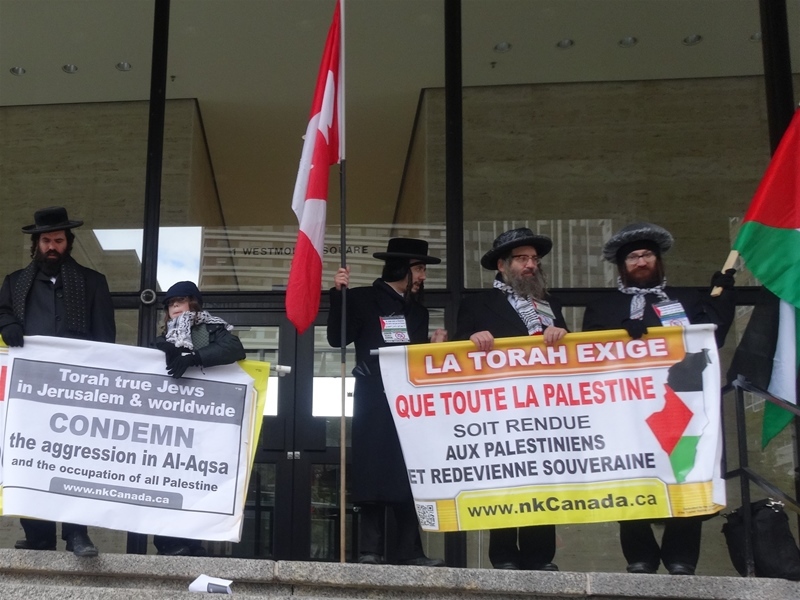 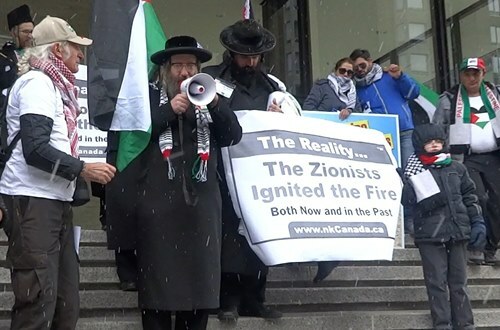 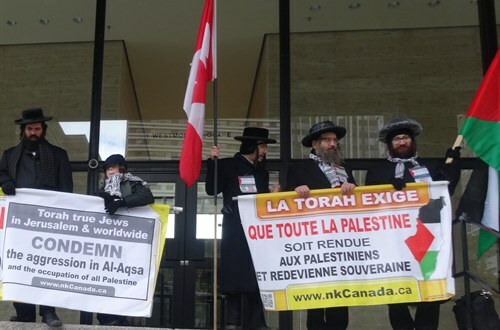 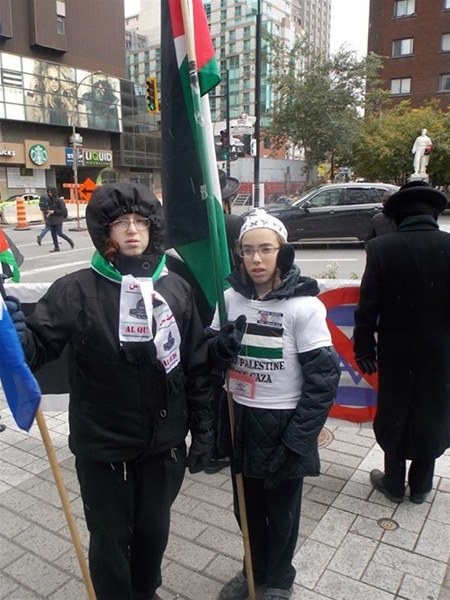 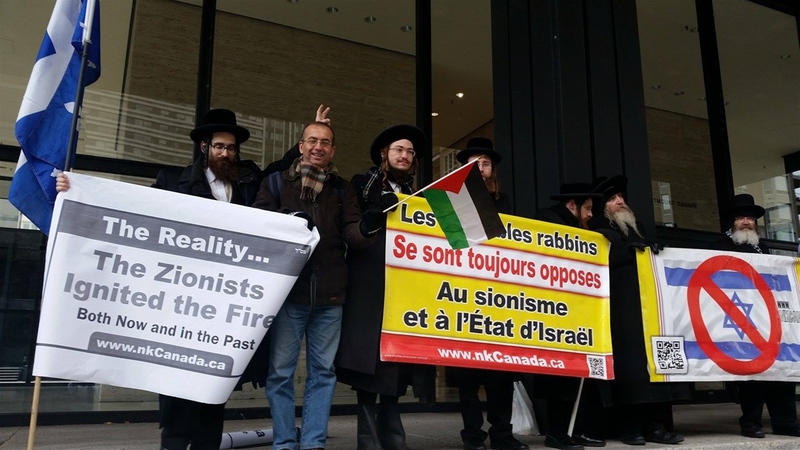 Members of Neturei Karta Canada at a rally for Palestine, in front of the Israeli consulate in Montreal, Canada, October 17, 2015.